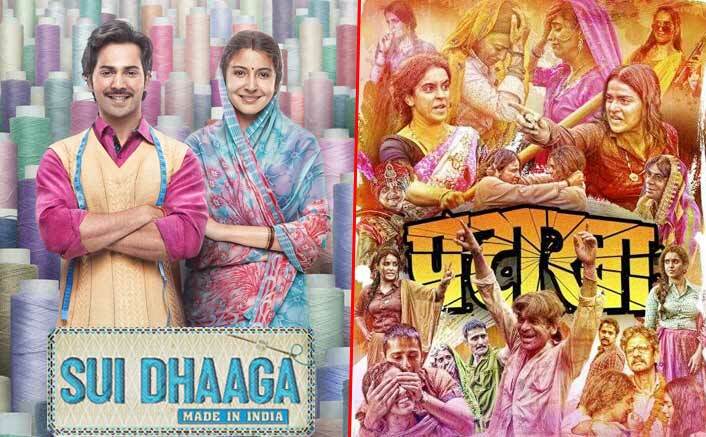 Sui Dhaaga – Made In India has taken a fine start at the Box Office. It was predicted in this column that the film would open in the range of 8-9 crore and this is what has happened, what with 8.30 crore coming in on Friday. Of course, a double digit number would been even better but then first and foremost the film was always going to depend on word of mouth due to its genre and content, while secondly there was this big cricket match that impacted the evening and night shows. Nonetheless, the good news for this Yash Raj production is that critically as well as from word of mouth perspective, the reports are decent to good which means there would be good growth today and tomorrow. The film is primarily for the family audiences and they are expected to come in good numbers over the weekend. The jumps should ideally be the kind that allows the film to go past 35 crore over the weekend. Once that happens, the film would be on a very good ground since there is this big Gandhi Jayanti holiday on Tuesday. That would ensure that Monday is good too since evening and night shows would be full again. Varun Dhawan is assured of yet another consecutive success while Anushka Sharma too would continue her largely winning run. As for director Sharat Katariya, he will be pretty much seeing the lifetime numbers of his debut directorial outing Dum Laga Ke Haisha [30.50 crore] surpassed in one weekend flat. Hera Pheri 3 Update: It’s A Bad News For The Fans Of Akshay Kumar & This Franchise! Thugs of Hindostan Trailer Trade & Audience Review – Aamir Khan, Amitabh Bachchan’s Magnum Opus! Second release of the week, Pataakha, was always slated to open in the range of 50 lakhs – 1 crore. Again, the numbers are on the same lines as predicted, what with 90 lakhs coming in. One can’t expect numbers more than this on the opening day of a film belonging to this genre as it would ultimately all boil down to word of mouth. The reviews of the film are decent to good and it has to be seen how the jump comes in today and tomorrow. Again, the film would benefit from the 2nd October holiday and hence would be practically seeing a five day weekend for itself. The post Box Office Collections: Sui Dhaaga – Made In India Takes A Fine Start, Pataakha Opens As Expected appeared first on Koimoi.